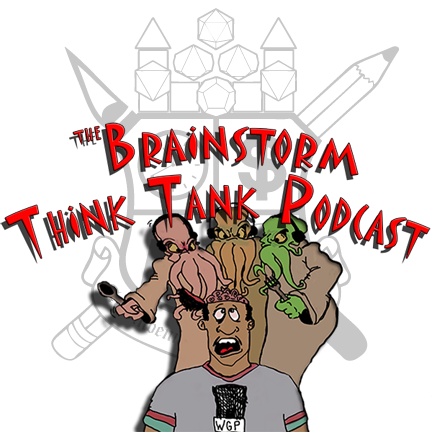 A couple of weeks ago I was honored to be asked to guest-host a couple of episodes of the The Brain Storm Think Tank Podcast (say that five times fast!). The first of those episodes came out today and I'll admit I'm less than pleased with my performance, from a technical standpoint. If you go to check out the podcast I'll apologize in advance. If I get asked to come back I think I'll have to use a better computer....or at least that is what I think the issue was. The netbook I was using, because I needed the webcam, was a bit maxed out resource-wise and the audio obviously suffered because of it. 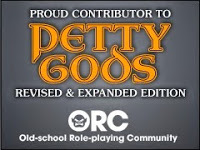 Regardless, I had a lot of fun and wouldn't mind trying to put together some live-play podcasts....assuming I could manage the editing process.